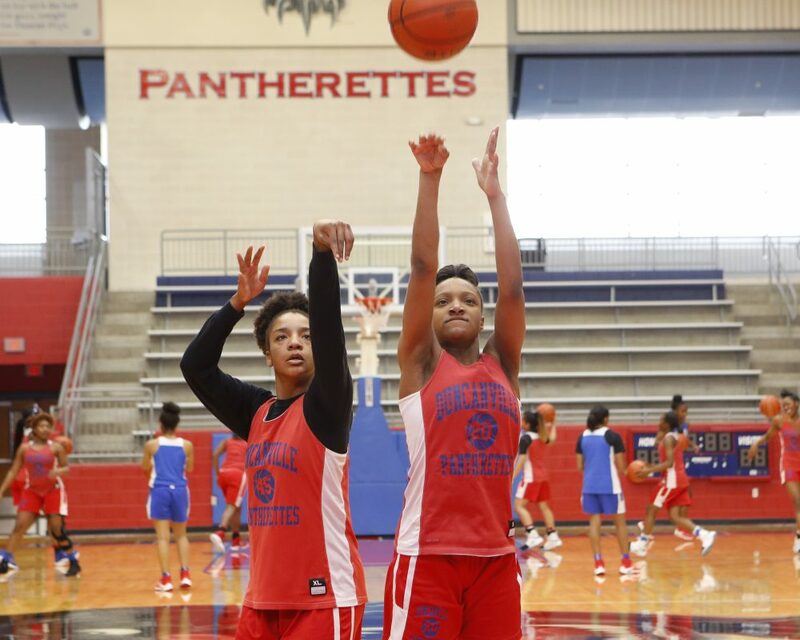 Editor’s note: The Duncanville Pantherettes won their 10th state basketball title in the school’s history on March 4, 2017 in San Antonio. Our story has been updated to reflect the team’s latest win. 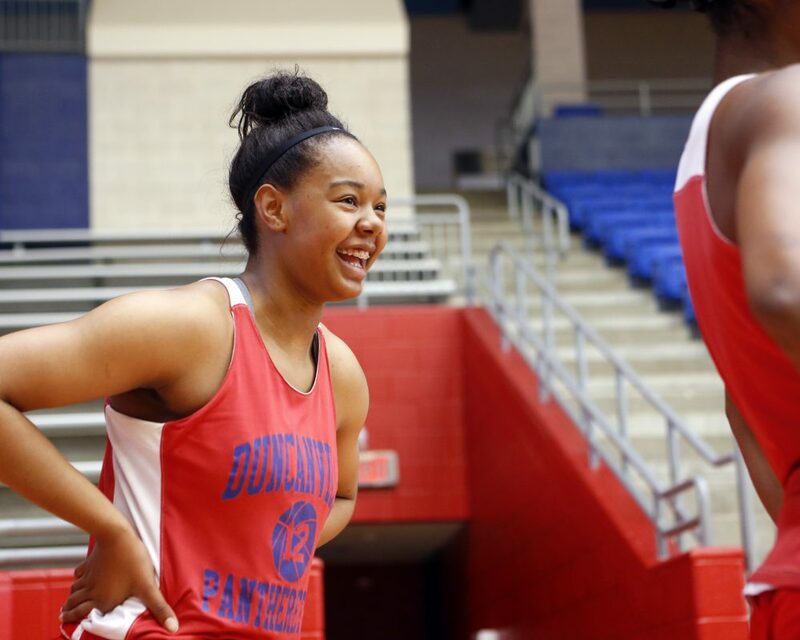 Through demographic and economic changes over the years, Duncanville High School, in a suburb south of Dallas, has maintained one constant — a winning girls basketball team. 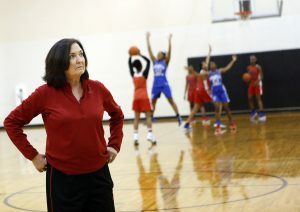 During a recent game, Cathy Self-Morgan was leading her Pantherettes to another lopsided win. At the time, their record was 37-2. 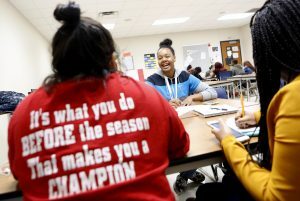 In Duncanville, that’s almost a low-performing year. Last season, the Pantherettes were undefeated. Self-Morgan arrived here 17 years ago already a champion with three state titles under her belt at Westlake High, near Austin. She wasn’t expecting to leave Westlake. Self-Morgan’s Austin suburb was mostly white, and so is she. 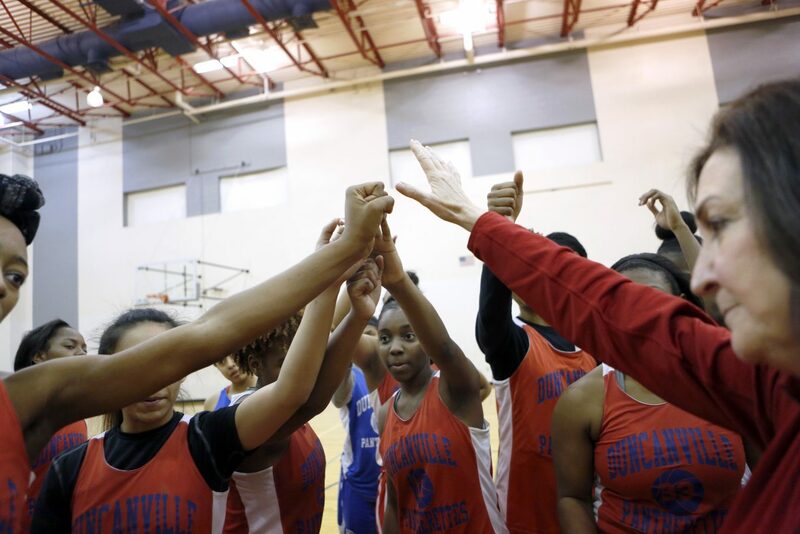 When the coach moved to Duncanville, the team was racially mixed. She points up to her office wall – pictures of every team she’s coached. They start more white than black, then they are all black. Now, with a booming Hispanic student population, there’s a Latina starter. The fundamental change, however, isn’t race. That’s a big job at a school where two-thirds of the kids are labeled economically disadvantaged. 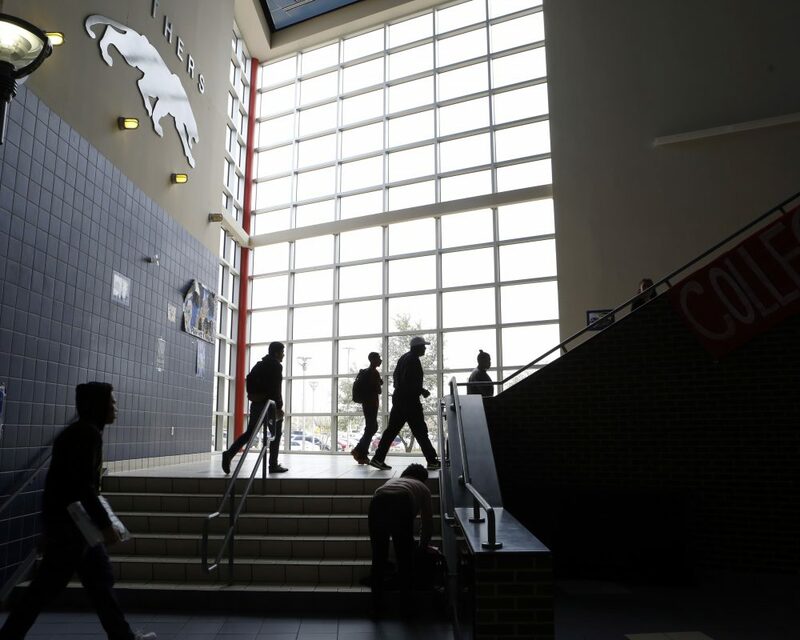 Duncanville ISD superintendent Marc Smith, who’s African American, took the job in April. He says this suburban district looks more like a big-city school system. While residents still take great pride in the schools, families are moving out. Self-Morgan does what she can so the team stays impressive. Every one of her players over the past six years has gone to college on a basketball scholarship. She’s got the secret, which isn’t so secret. 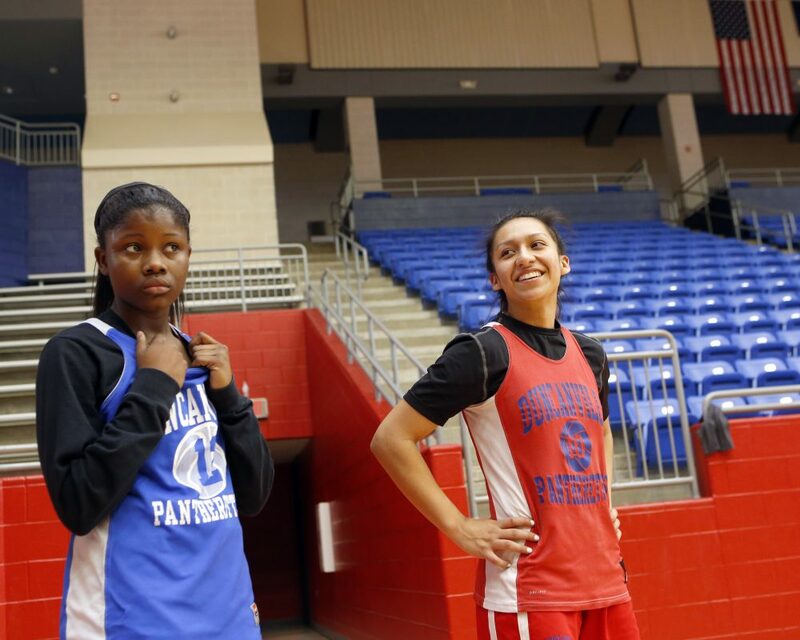 So when she demands hard work on and off the court, and she does, senior Pantherette Nina Alvarez delivers. 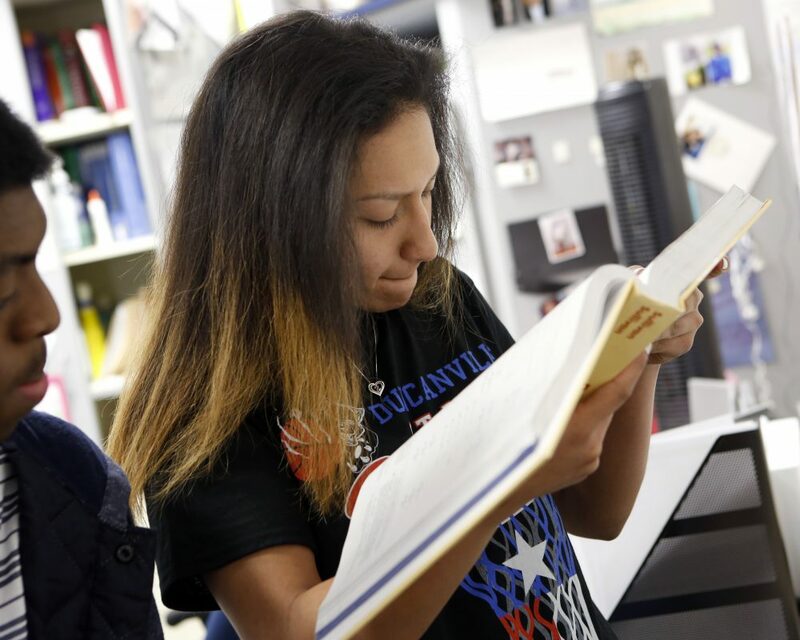 Senior Nina Alvarez in a pre-calculus class at Duncanville High. 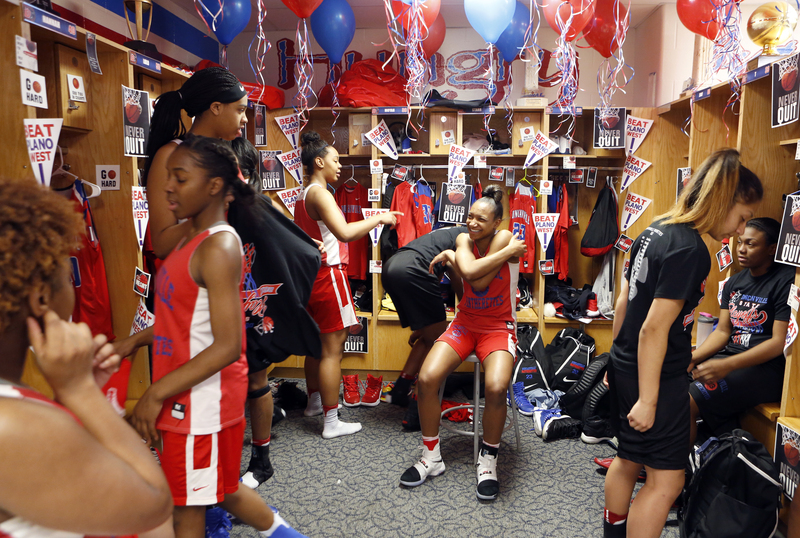 The most fun comes from winning, which is by now a Duncanville tradition. So much so that the town’s motto — City of Champions — is based on the Pantherettes’ 10 state titles, going back to 1976. Volleyball coach Marla Hust was the basketball team manager in 1990, her senior year. 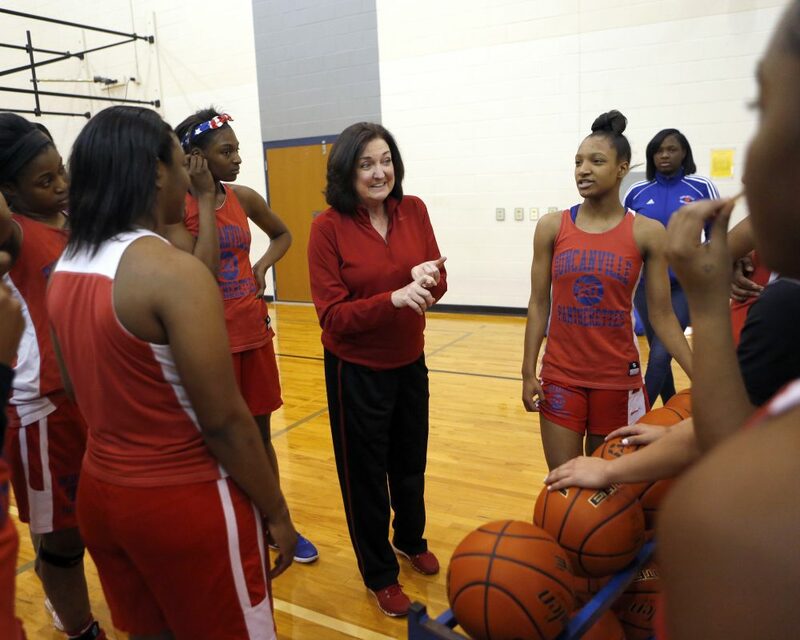 That’s when legendary coach Sandra Meadows led the Pantherettes to one of her state championships. Bobby Goldman believes. At 81, the Panther graduate and lifetime resident has rarely skipped a basketball game in 66 years. The retired IRS agent, who is white, worried fans like him might disappear as the school’s minority population surged. Still, Pantherette pride prevailed. Goldman is a pure fan, already looking ahead to see what kind of players will make up next year’s team and the years after. First, he wanted to see this team take another championship. And the Pantherettes didn’t fail — they defended their Class 6A title in a victory over Houston Cypress Ranch on Saturday, March 4 in San Antonio.